Irish students are becoming more and more interested in spending their summer in Canada. Of course, Canada is an amazing country to live but when going for just one summer, there’s a catch. Many students assume they can do a J1 in Canada but there’s actually no equivalent visa. The only option for anyone with an Irish passport is the 2-year IEC Canada Visa, which is open to anyone aged 18-35. While you can acquire the visa and just stay for the summer, there’s the catch. You can only acquire the IEC Visa once in a lifetime. So if you only spend 3 months on the IEC Visa, you’re wasting 21 months that you could be spending living and working in Canada. The IEC Visa is an amazing opportunity for any Irish person to emigrate after college and gain some international experience so you should try to save it until you can make the most of it! 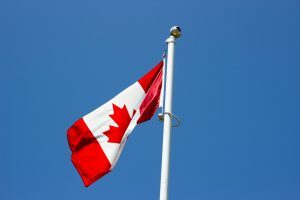 While you may have an amazing summer in Canada, it’s simply a lost opportunity and will affect your chances of moving to Canada in the future. If you’re looking to just spend the summer abroad, USA J1 Visa remains the only option for that corner of the world. The J1 USA Summer Work and Travel programme offers you the chance to spend an unforgettable summer in the U.S. It’s a cultural exchange visa so you can apply for the visa for multiple summers while you’re still a student and it won’t affect your future self! We know better than anyone that Canada is an amazing country either for a holiday or to move to. But due to the fact that you only have one opportunity to live and work there, we highly recommend making the most of the visa and spending the full 2 years.